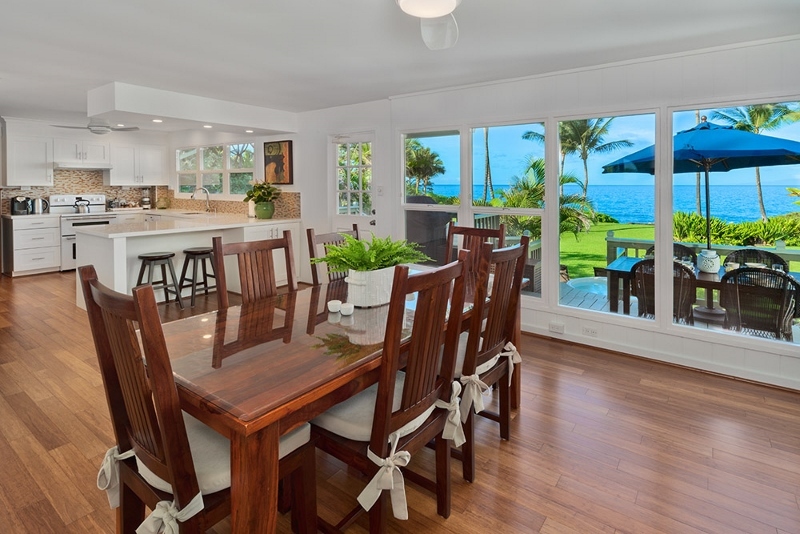 Wailea Sunset Bungalow – Luxury Vacation Homes, Inc. 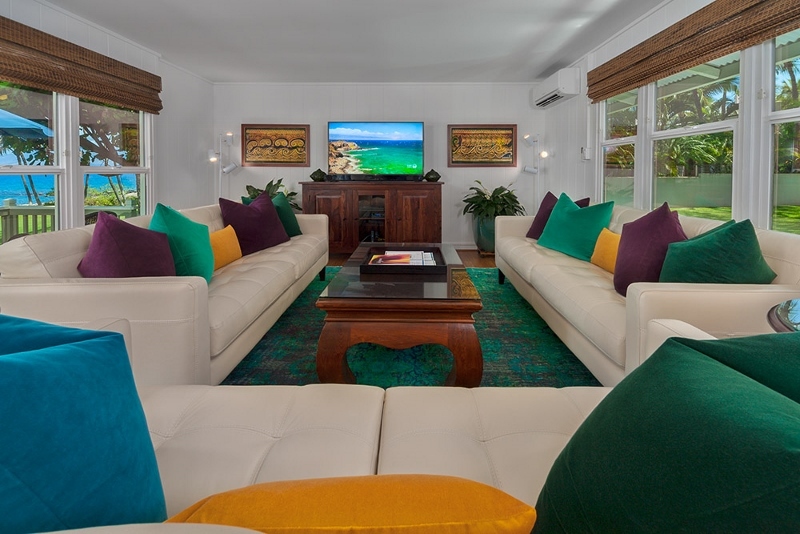 The Wailea Sunset Bungalow is a little piece of heaven on earth that has just received a refreshing make-over. 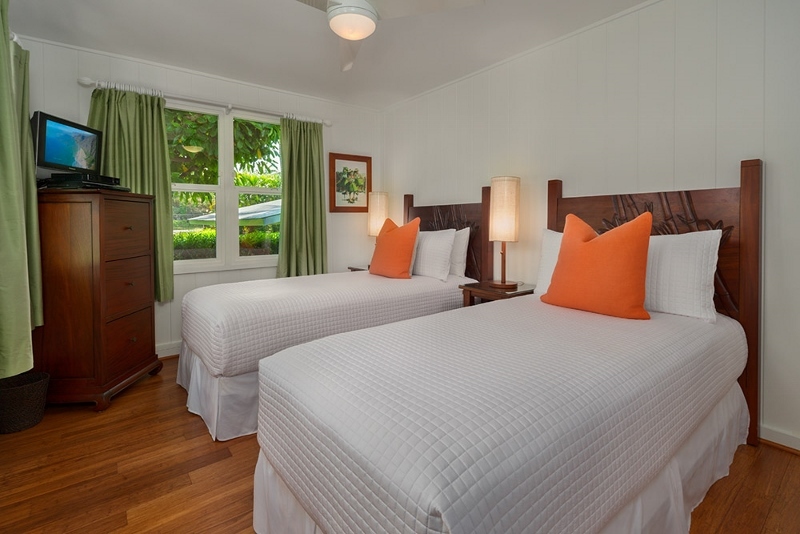 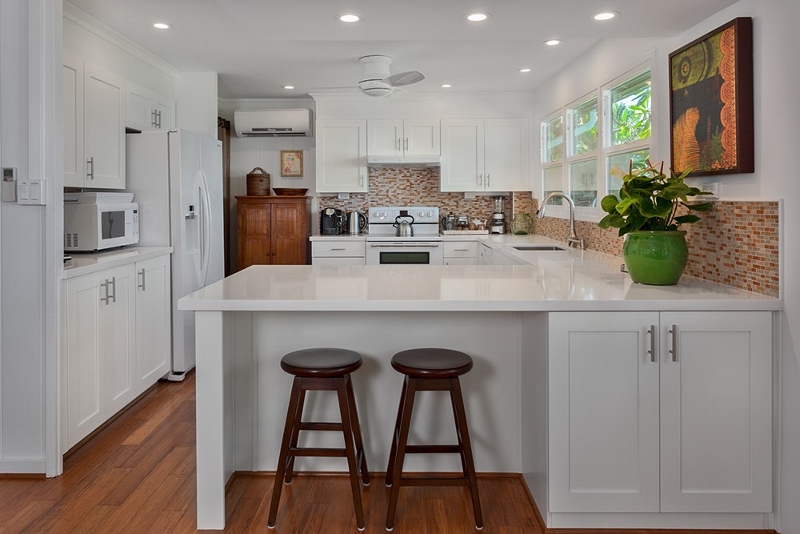 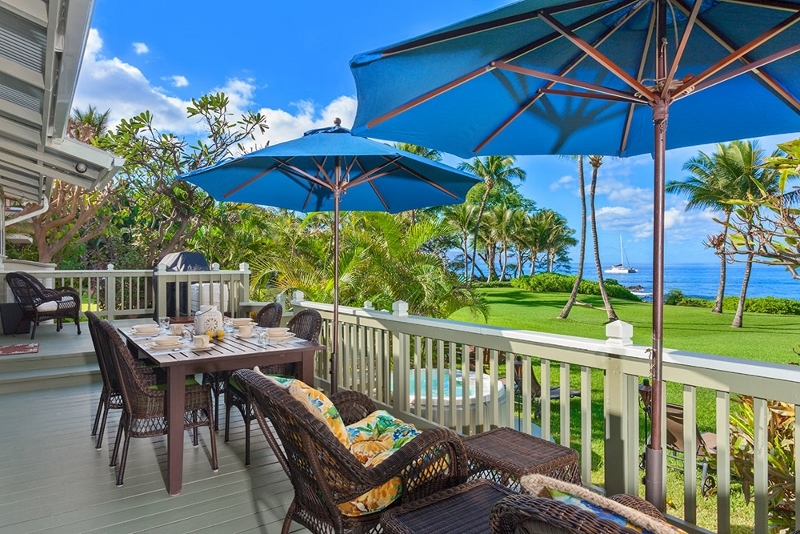 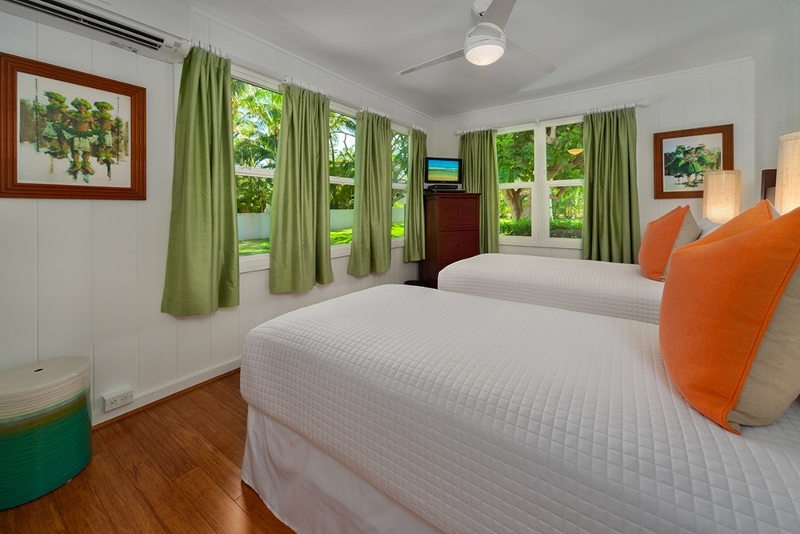 The Wailea Sunset Bungalow is a vintage cottage with charming nostalgic ambiance reminiscent of Hawai`i of yesteryear. 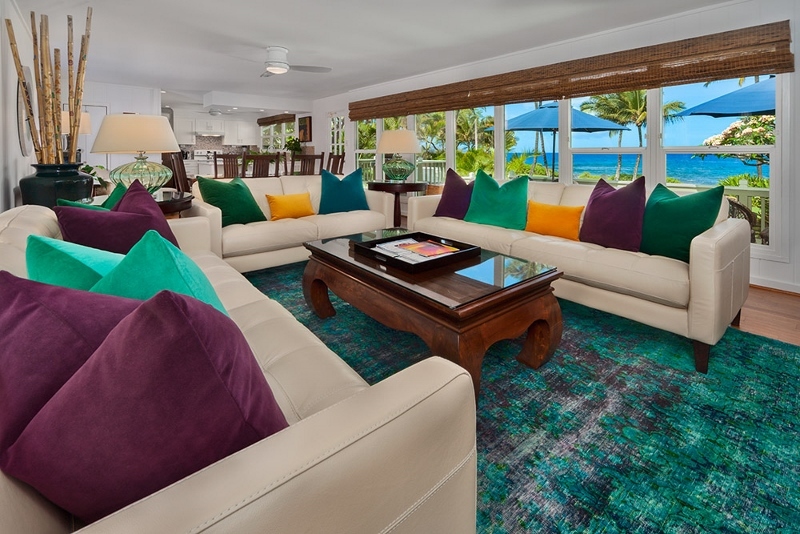 Choose the Wailea Sunset Bungalow and experience seaside living as it was before the introduction of mega-mansions to our tropical island paradise. 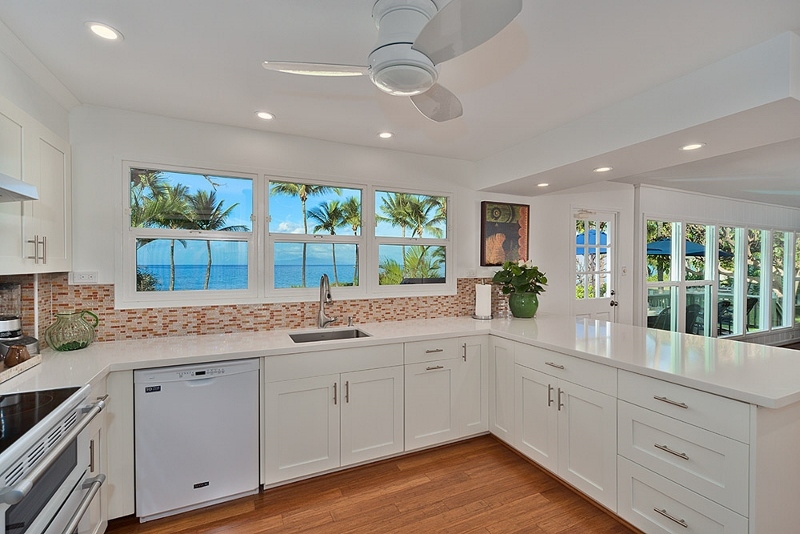 This is not new construction. 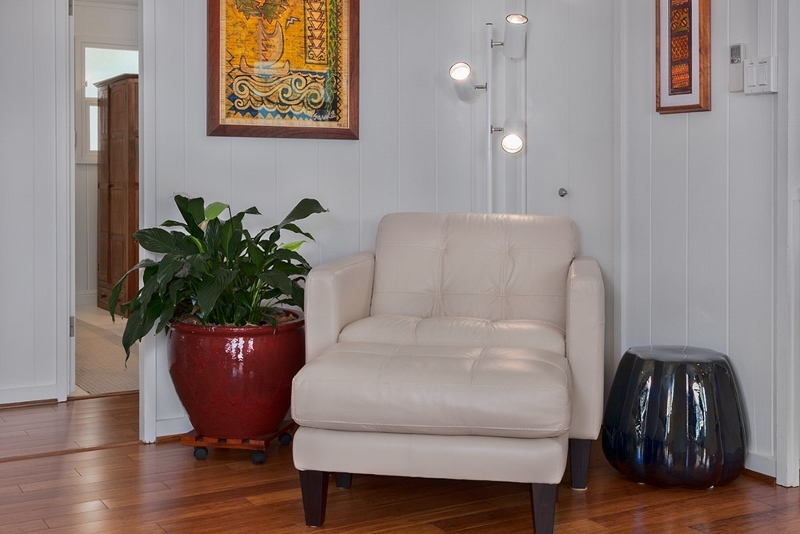 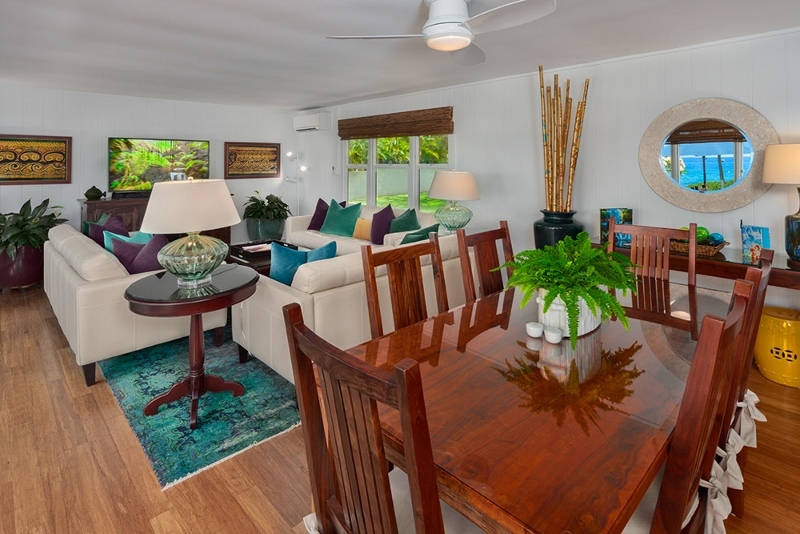 We make every effort to provide comfortable furniture, abundant electronics, and useful amenities. 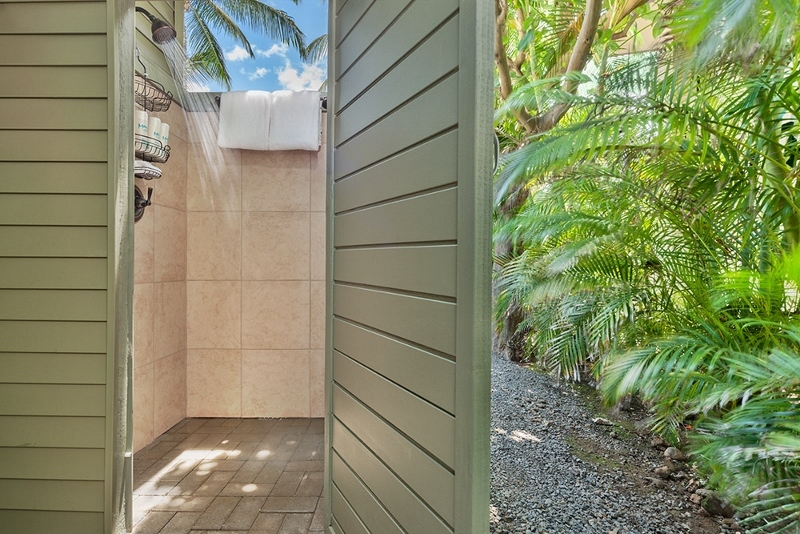 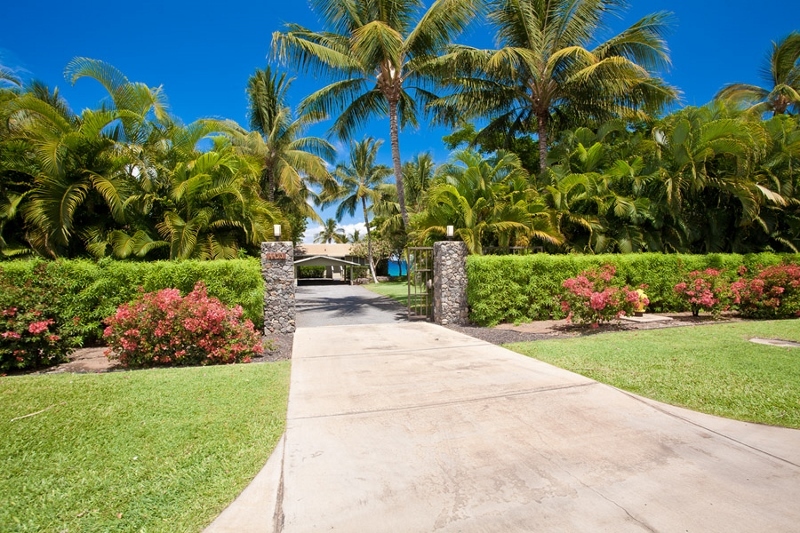 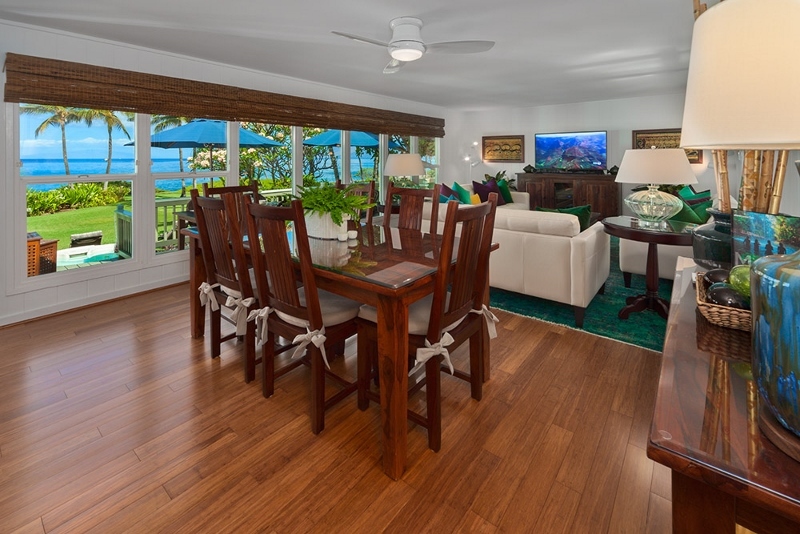 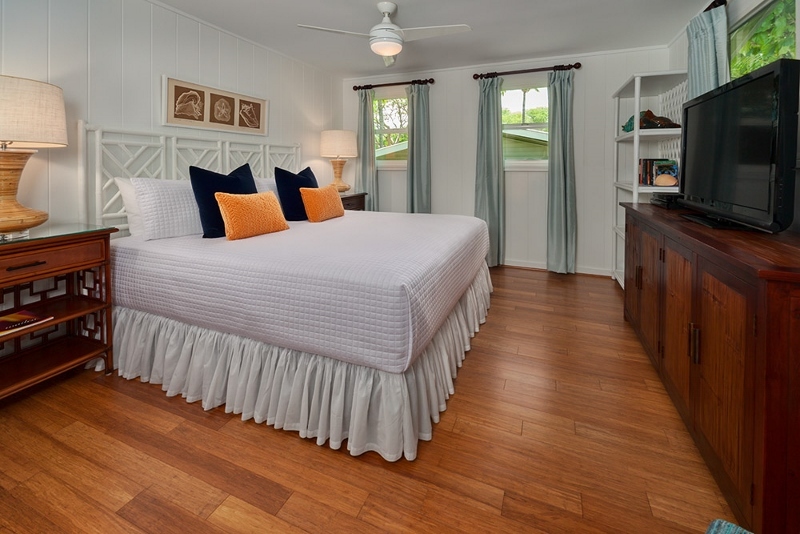 The 2 bedroom and 1 bath Bungalow has an outdoor hot tub spa, air conditioning in all rooms, iPod dock, multiple televisions, high speed wireless internet access, and best of all, a simply priceless location nestled between 2 sandy swimming beaches immediately adjacent to Wailea Resort. 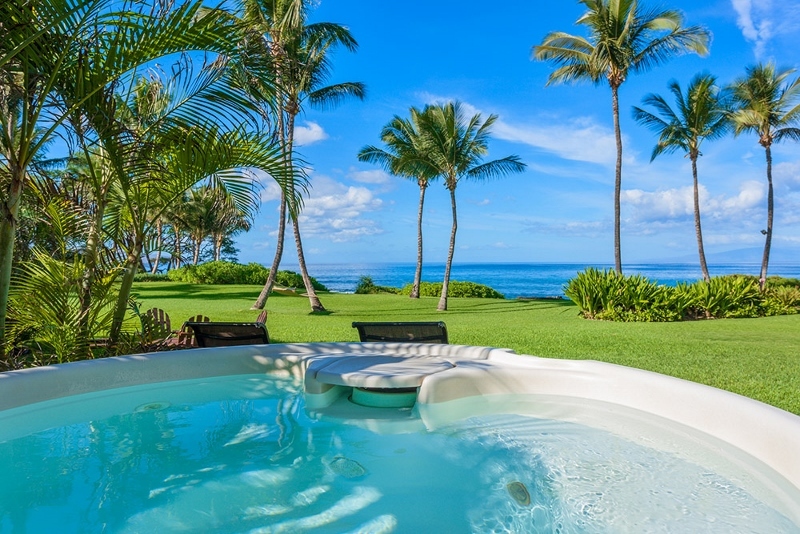 Guests of the Bungalow may enjoy their own private hot tub under the stars with panoramic views of the turquoise ocean and crimson sunsets. 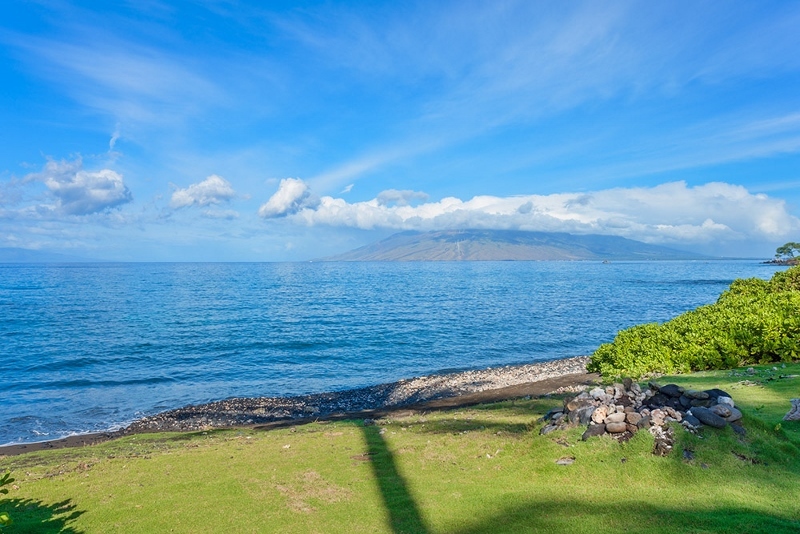 From time to time when a south swell is generated in the South Pacific, some smaller waves break along the shoreline. 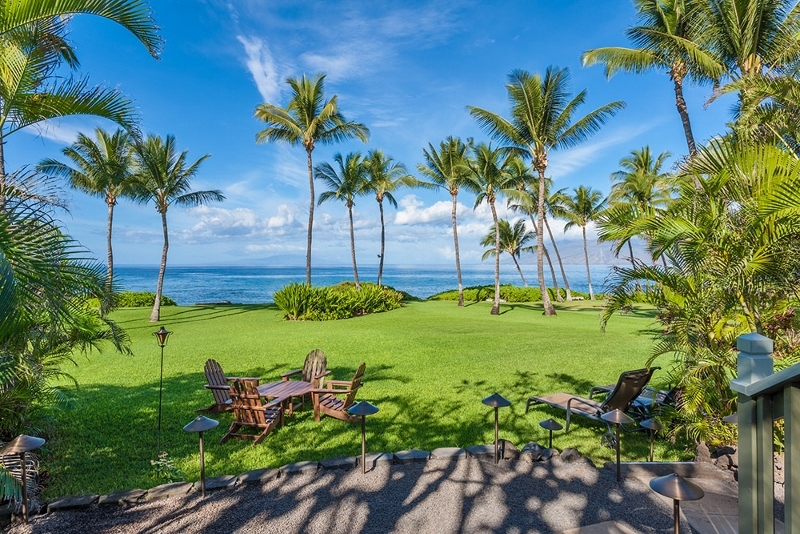 This is a great show of nature’s beauty and at night the waves can be illuminated by spot lights hung up high in palm trees. 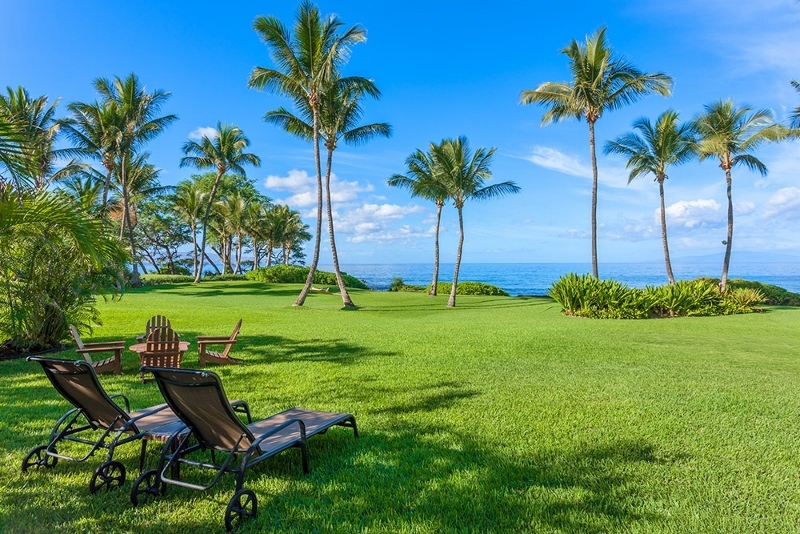 A verdant manicured sprawling green grass lawn frames the properly perfectly. 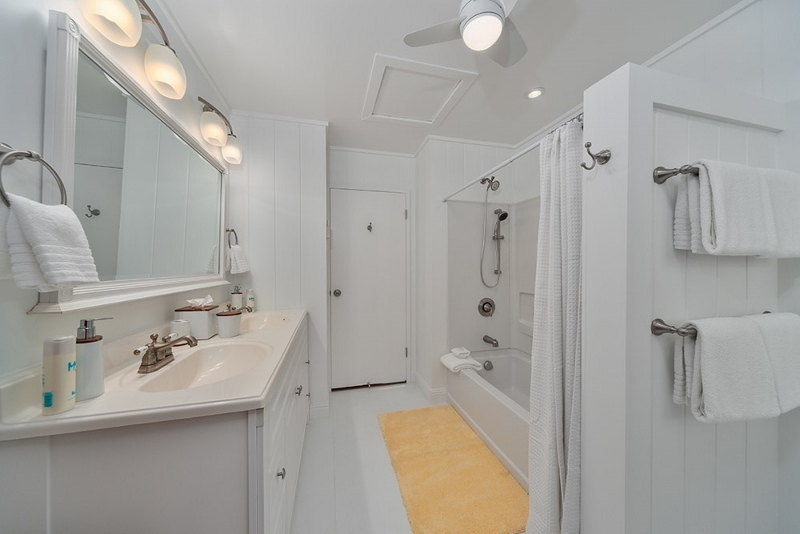 One bathroom is conveniently placed between the 2 bedrooms. 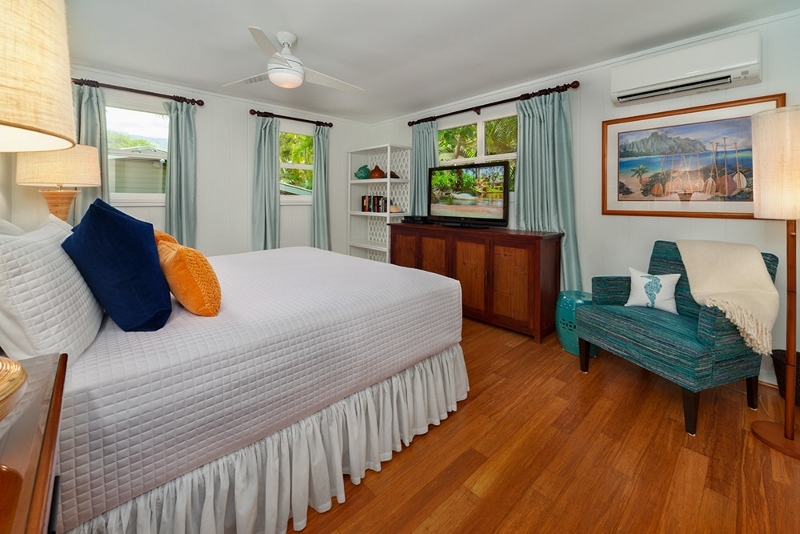 There are 3 televisions, one in each bedroom each with a DVD player, and a separate CD player and iPod dock in the master bedroom. 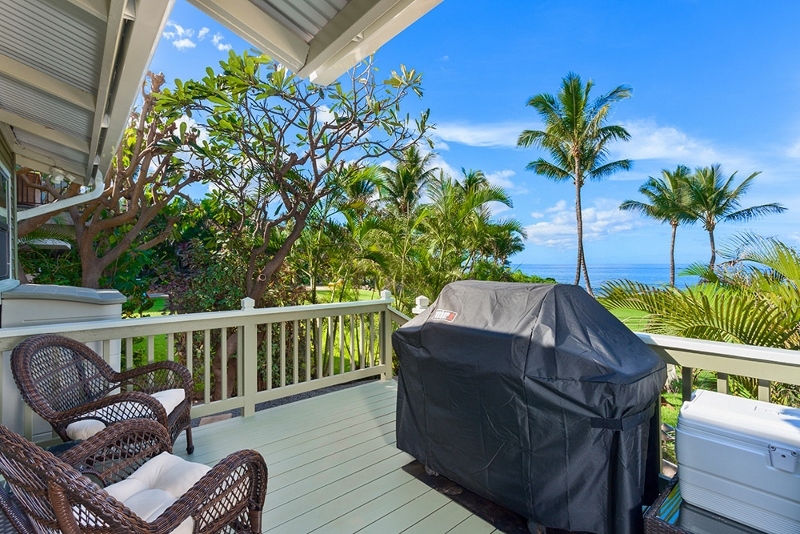 Tiki torches add romance to an already amazing setting. 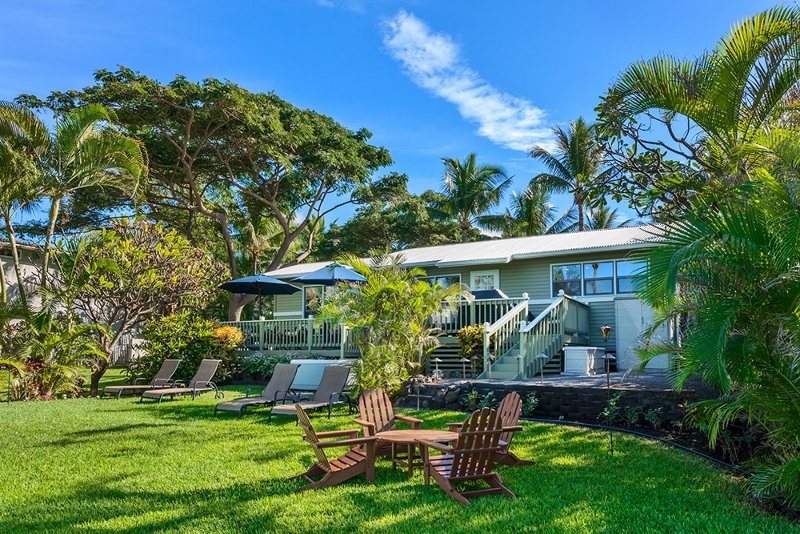 Nothing but your hammock, hot tub and a sprawling manicured grass lawn come between your cottage and the beautiful blue Pacific ocean. 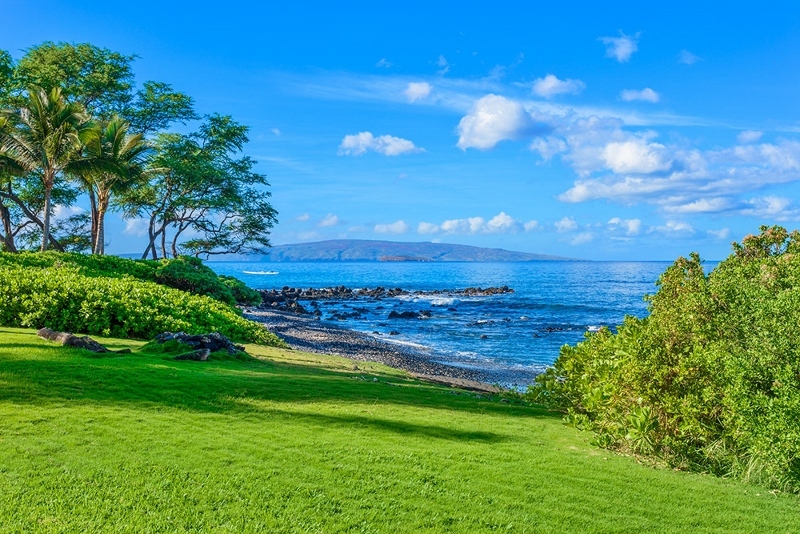 The Fairmont Kealani Resort, Cafe Ciao Deli and Store, Four Seasons Resort, Wailea Blue Golf Club, Mulligan’s Irish Pub, and other upscale restaurants and shops in the swanky new Shops at Wailea are just a few easy blocks away. 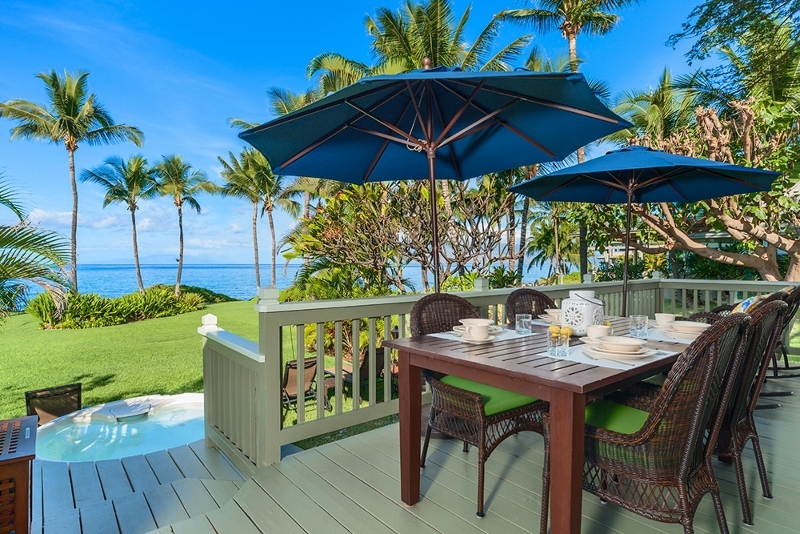 Hike over one block to the pick up a pizza or fresh pastries from the Fairmont Kealani Deli and dine leisurely back home on your own private ocean front deck. 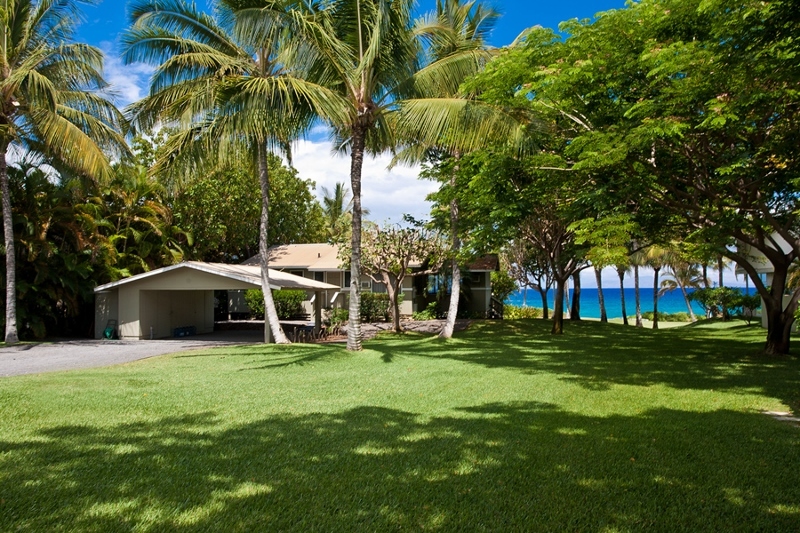 Many former guests have repeated their visits to the Wailea Beach Bungalow. 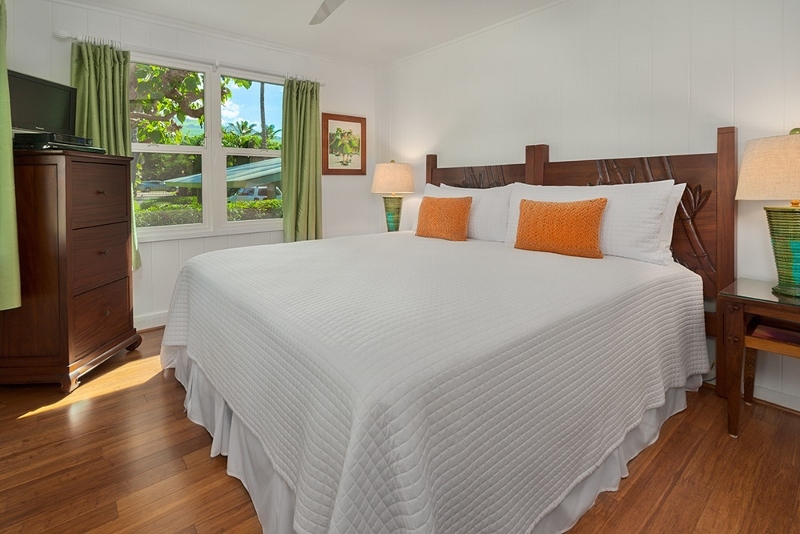 Stay here and enjoy a great location, excellent amenities, delightful sunsets, home-like atmosphere, and convenient access to Wailea Resort.